"How do you catch a killer you've already caught?" 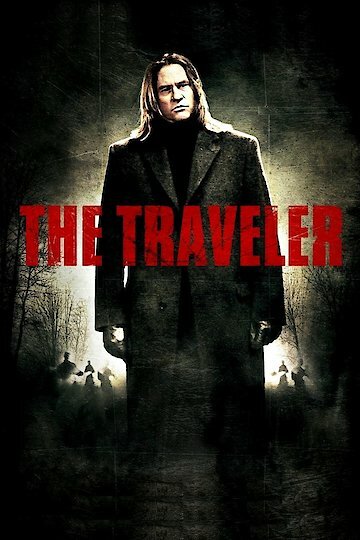 The movie The Traveler starts with a stranger walking into a police station in a small town. It just happens to be Christmas Eve. He tells the sergeant he is ready to confess to a murder. The stranger refers to himself as Mr. Nobody. He tells the officers he wants to confess to six murders. The officers he tells die in the same way as the victims Mr. Nobody described. Mr. Nobody is in prison when these murders happened. The daughter of an office is also killed and Mr. Nobody is a suspect. Even when he is beaten, he states that he is innocent. The stranger is not hurt as badly as he should be. The officers begin to think that he is a spirit of a tormented man. The Traveler is currently available to watch and stream, buy, rent on demand at Vudu, FandangoNow, iTunes, Google Play, YouTube VOD online.